Amazingly true predictions of love, attraction & happiness for Scorpio. 2019 Scorpio Lovescope reveals a love and romance horoscope that provides contentment - be it financial needs, or romantic desires. This is a strong influence to enjoy what you have, and patiently building upon it. There is less focus now on seeking out freedom and experience, and more focus on getting comfortable. This attitude, of course, can benefit some types of relationships. The Scorpio lovescope 2019 predictions are not just about love, romance, attraction and sexuality, but also enlighten us of things that you enjoy and events that bring happiness to your heart. However, to truly relish the offers, please refer Scorpio 2019 Horoscope for the overall scheme of planets impacting you, and Ephemeris and Astrological Calendar, 2019 for exact dates and times. The influences arrive early for Scorpio natives born early, in the 1st Decan (Oct 23 - Nov 2). Those who are born later, in the 2nd Decan (Nov 3 - Nov 12) and 3rd Decan (Nov 13 - Nov 22), would experience the influences delayed and somewhat differently, as presented in the lovescopes below. Our yearly lovescopes are divided into 3 distinct Scorpio decans. 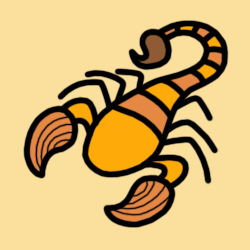 To know more about the Decans of Scorpio, click here. If you find this confusing, please read only the 1st Decan for all Scorpio 2019 lovescope predictions. Jupiter this year continues to provide contentment - be it financial needs, or romantic desires - until 2nd December 2019. From then onwards, Jupiter serves to excite you about learning and connecting, and sharing ideas - for the rest of the year. Uranus this year continues to rebel you against strictures, to bring fresh insight to your work and daily routines - until 6th March 2019. From then onwards, Uranus makes you rebel against strictures, to partner and connect with free-spirited people - for the rest of the year. Solar Eclipse on 2nd July marks a new beginning or revised approach towards expanding your mind, feed your spirit for adventure, and stretch your imagination. Also, the North Node continues to bring joy and opportunities through expanding your perspective, and a real need to reach beyond your usual bounds - throughout the year. 15th May - 9th June is perhaps the most romantic time of the year, when you love and you are loved. You steal the show and also the hearts of your loved ones. For the eligible singles, marriage or engagement is certainly on the cards. Jupiter this year provides contentment - be it financial needs, or romantic desires. This is a strong influence to enjoy what you have, and patiently building upon it. There is less focus now on seeking out freedom and experience, and more focus on getting comfortable. This attitude, of course, can benefit some types of relationships - throughout the year. Uranus this year revolutionizes your work and daily routines, while you bring fresh insight into your work, disregarding rules and schedules - throughout the year. Lunar Eclipse on 21st January brings into light surprises or disclosures surrounding personal philosophy, faith, travel, and the higher mind; and Solar Eclipse on 2nd July marks a new beginning or revised approach towards expanding your mind, feed your spirit for adventure, and stretch your imagination. Also, the North Node continues to bring joy and opportunities through expanding your perspective, and a real need to reach beyond your usual bounds - until 28th November 2019, after which the North Node brings joy and opportunities through shuffling your dependencies, and a real need to share yourself with others - for the rest of the year. 23rd May - 17th June is perhaps the most romantic time of the year, when you love and you are loved. You steal the show and also the hearts of your loved ones. For the eligible singles, marriage or engagement is certainly on the cards. Jupiter this year continues to boost your confidence, personal presence, and likability factor - until 14th February 2019. From then onwards, Jupiter provides contentment - be it financial needs, or romantic desires - until 6th June 2019. 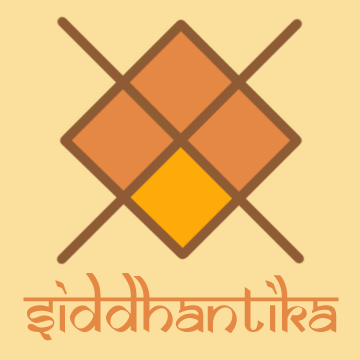 Jupiter boosts your confidence, personal presence, and likability factor - from 6th June 2019 to 13th October 2019. From then onwards, Jupiter provides contentment - be it financial needs, or romantic desires - for the rest of the year. Saturn this year continues to streamline your money and finances, personal possessions and valuables, personal talents, and self-esteem - until 4th April 2019. From then onwards, Saturn inspects your communications, transportation and commuting, daily interactions, neighbours, and siblings - until 25th May 2019. Saturn finalizes your money and finances, personal possessions and valuables, personal talents, and self-esteem from 25th May 2019 to 19th December 2019. From then onwards, Saturn reviews your communications, transportation and commuting, daily interactions, neighbours, and siblings - for the rest of the year. Also, the North Node continues to bring joy and opportunities through expanding your perspective, and a real need to reach beyond your usual bounds - until 24th May 2019, after which the North Node brings joy and opportunities through shuffling your dependencies, and a real need to share yourself with others - for the rest of the year. 1st June - 25th June is perhaps the most romantic time of the year, when you love and you are loved. You steal the show and also the hearts of your loved ones. For the eligible singles, marriage or engagement is certainly on the cards.